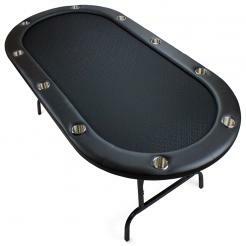 These Folding Poker Tables are 82" x 42" in size and provide seating for up to 10 players. They feature legs which fold up to provide easy storage. 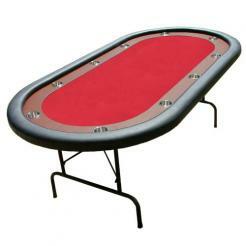 NOTE: The shipping charge for these tables is $200 each. 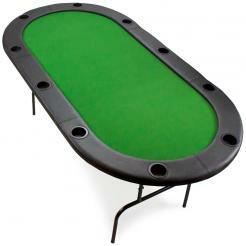 These table can only be shipped via freight. Shipping at check out will show UPS, but they are shipped freight. They may only be shipped to the contiguous 48 states.